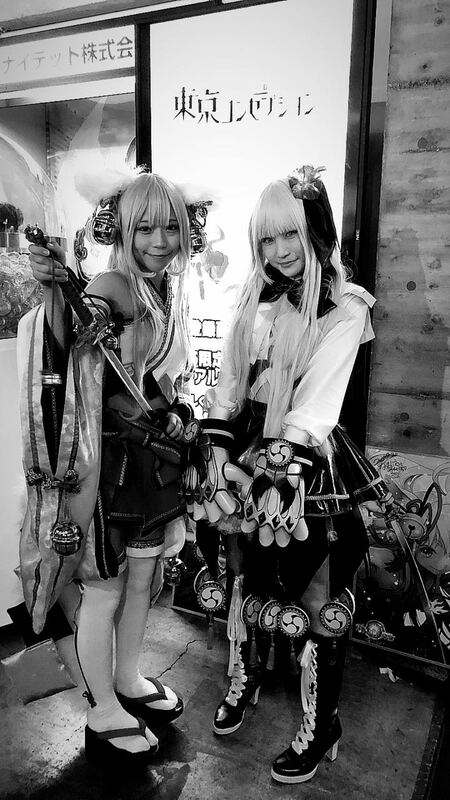 What a crazy, colourful, character filled 4 days Tokyo Game Show is. People told me what to expect but I don’t think anything can prepare you for the experience of TGS. It’s a lot of fun! emergeWorlds had the pleasure of being part of the Australian contingent exhibiting our new VR game Dance Collider. After winning a booth in the indie game area we decided it would be a great opportunity for people to play DC after close to two years in development. Tokyo Game Show is located about 40 minutes from the centre of Tokyo. When Ben and I arrived at the airport we hopped on multiple trains, got a little lost, but eventually made it to the venue. It was huge. and we took quite a while to find our booth. It was located in the middle of two other great indie companies, Playmind with their game ‘Inner Friend’ and Another Indie and their title ‘Sinner'. Both of these games are really good so we were happy to be in the middle of them. The first two days were business days at TGS. We met a lot of cool people from all corners of the industry. There was a large contingent of other VR devs that had titles already released so it was good to get some information about different aspects of the industry. Also a lot of music composers and DJ’s came to see us about future collaborations. It was a little quieter on the business days which meant Ben and I had a chance to explore the show. 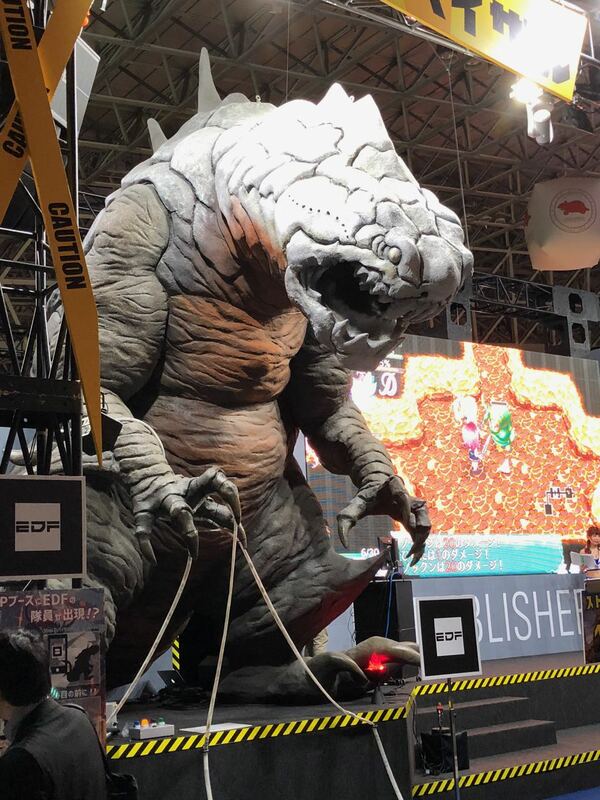 The big releases had some amazing displays, huge statues of characters, cosplayers, massive video screens, lights everywhere and music echoing through the hall. It was an assault on the senses, but in a good way. I am glad I had a chance to walk around when it was relatively quiet. There was definitely a lot of variety, all the big console games were there, a lot of PS4 titles, indie games, but no Nintendo which puzzled me. Later I heard they had a fight with TGS so don’t exhibit which was a bit of a shame. But everything else was there! On my walk around the halls it was good to see a large contingent of VR titles. A lot of these were for arcade release and went along with elaborate props to help the experience. One of the more impressive bits of hardware were the tron bikes. I also walked past a VR boyfriend / girlfriend experience in a closed off both. There was a lineup so I didn’t have go in. Haha. When I got back to the booth I noticed we had a special visitor… Well at the time I didn’t know who he was… Vlad from Another Indie let me know it was Palmer Luckey the guy who created Oculus and he was keen to have a dance. I can’t believe I ran him through our usual demo of how to use the headset and controllers. Totally not needed as he created the darn thing. He also had the highest score for the day. Ladybeard also wanted to get down for a boogie. If you don’t know who Ladybeard is then look her up! After two successful business days we went back to the hotel for a quiet beer and rest. We knew the next two days were going to be busy! We arrived back at TGS for the public day and there were already huge lines. Ben and I were running a little late and when we made it to our booth there were people waiting to play Dance Collider. We plugged in the Rift and welcomed our first customer. I took him through the usual demo then explained that he should pick easy or normal mode. He looked at me and said ‘No, I want to do Pro mode’. I warned him that it was really hard but he insisted. He absolutely nailed it on one of the hardest songs the first time. We were very impressed. This was a common theme with most of the players throughout the public days. They wanted a challenge and were already used to rhythm games. So they picked up the mechanics of Dance Collider very quickly. The days went like a blur and before we knew it we needed to pack up to make our flight back home. Dance Collider was launching in the next two days and we still had a few things to do before launch. On the plane I had time to reflect on the whirlwind of Tokyo Game Show. It was even more than I expected. Seeing people play and enjoy Dance Collider was a very rewarding experience. 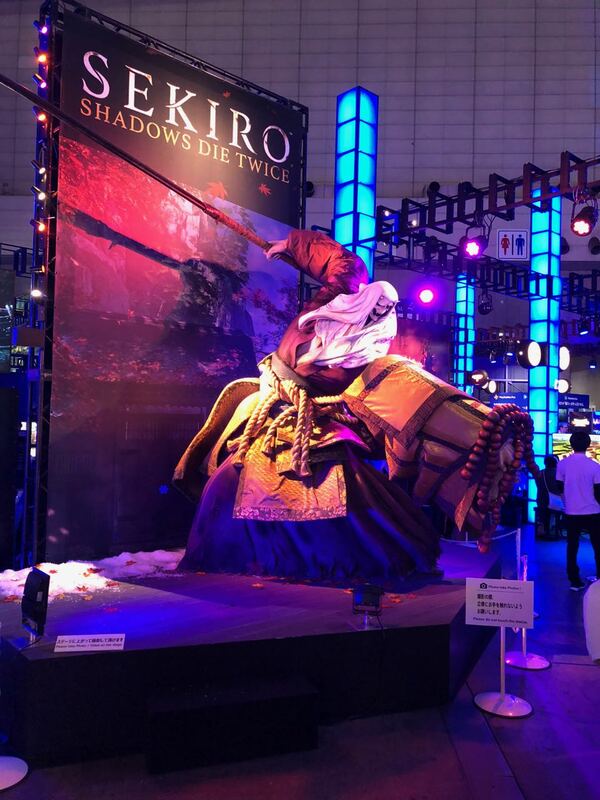 It showed that all the hard work we have put in over the last two years was worth it and I can’t wait to go back to Tokyo Game Show next year!